There are many things that we can do to take care of ourselves to become happier and healthier. Being active is more than trying to lose or maintain a certain weight. Exercise (both cardio and resistance training) has amazing benefits for your body and mind. Exercise can help ease the effects of stress, elevate your mood, reduce your chances of many health conditions and disease such as heart disease and high cholesterol. In a busy world filled with taking care of the family, household chores, demanding jobs, it's so easy to say, "I don't have time to workout." You don't have to work out for hours on end to reap the benefits. As a personal trainer, I strive to make sure that my clients enjoy their workouts (if you hate to run, don't run) and that they fit into their schedules. Eating a healthy diet with whole grains, fruits, vegetables, lean proteins, and healthy fats will help ensure you get the vital nutrients and minerals your body needs. A healthy diet can help reduce your chances for many diseases, increase your energy levels, and help you maintain a healthy weight. Fast food options are pretty much on every corner. It's temptingly easy to just go through the drive thru windows. But cooking at home doesn't have to be an all-evening event. With a little planning and prepping, dinners can be put together in 30 minutes or less. No one enjoys going to the doctor, but it's important to get annual checkups and breast exams. A regular checkup will help you monitor your blood pressure, cholesterol levels, as well as identify any possible health conditions. Find a doctor that you truly trust - ask around - it'll make the whole notion of the visit a little less stressful when you find someone you can trust, can talk to. It's impossible to avoid the stressors of every day life. But constant or chronic stress can lead to digestive problems, headaches, high blood pressure, difficulty sleeping, heart disease and depression. Take time to meditate, try yoga, go for walks, or even seek help from a professional. Being a super Type A person, I know that it can be too easy to take on too much, to let yourself get stressed over the little things, the unimportant, uncontrollable things in life. Stop. Breathe. Really stop and breathe. Look around and take in what's around you, finding joy in the little things each day. 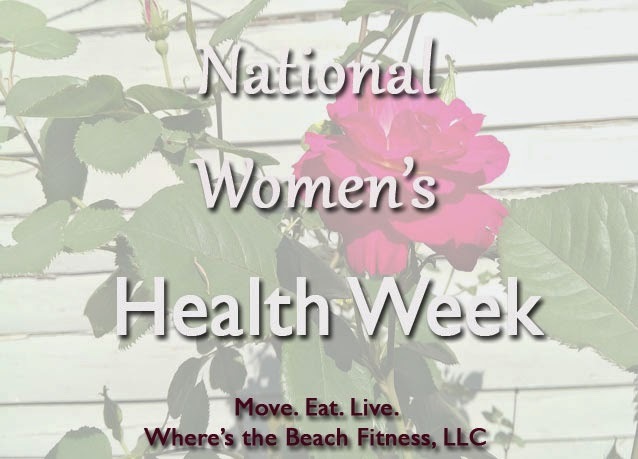 Ladies, what do you do to be a healthier, happier you?